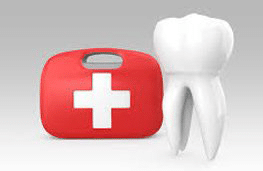 Dr. Tom Cooke provides EMERGENCY DENTAL CARE to patients in the Raleigh area. Patients are seen the same day that they call. Our goal is to diagnose your emergency problem and get you helped right away. It is very common to have a dental emergency – a fractured tooth, an abscess, or severe pain when chewing. Over-the-counter pain medication is just masking the problem. Seeing an EMERGENCY DENTIST is critical to getting the source of the problem diagnosed and corrected as soon as possible. If you experience trauma to your face and you are bleeding from your mouth, then direct pressure with a clean compress is critical to allow the bleeding to slow down and clot prior to seeing an EMERGENCY DENTIST. If a tooth comes out completely as a result of this trauma, placing it back in the socket with the correct orientation is the best first step prior to seeing your emergency dentist immediately. If you are unable to place the tooth back in the mouth, place it in a container with milk and get to an emergency dentist right away. If you experience a broken tooth from chewing or trauma, it is best to see a DENTIST immediately to have this evaluated, even if it does not hurt. If your tooth has a severe fracture, it may require a root canal. If a tooth gets displaced from trauma, seeking EMERGENCY DENTAL CARE immediately is critical so you can have the tooth repositioned and splinted. 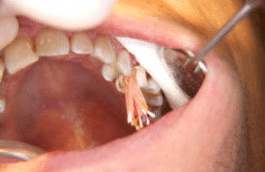 It is common for a bad nerve in a tooth to cause a tooth to hurt one day and feel normal the next day. This pain may come and go. 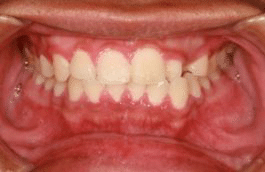 It is important to see a dentist and have this evaluated because this may lead to a severe pain situation. To read more information on EMERGENCY DENTAL CARE and other topics, please view the related articles written by Dr. Cooke for the American Chronicle online magazine – 5 things you should know about dentistry. For information on INSURANCE, billing and payment options, call (919) 872-1700 or read about our practice. 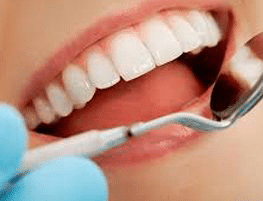 While many North Carolina residents view dentistry as a mere cosmetic adjustment, oral health is a serious issue that can affect more than just the shine of a person’s smile. Studies have shown that when dental needs go unmet, severe infections, acute pain and lifelong illnesses could ensue. Furthermore, a lack of dentistry can have long-term consequences on young people, affecting their school performance, nutrition and self esteem. Still, for many parents in the greater Raleigh area, finding a provider of quality emergency dentistry can be difficult. 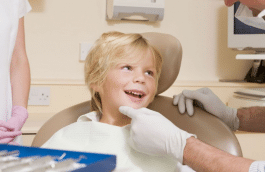 Many family dentists excel in specialty areas, and fail to offer the breadth of service that children, with their unique dental needs, require. At Thomas E. Cooke D.D.S. P.A., we believe that proper oral health starts with education. That’s why we strive to provide the parents of our young clients with a website that is more than simply an overview for our family and cosmetic dentistry offerings, walk in dentistry services and emergency dental procedures. ThomasECookEDDs.com is an educational resource that parents can rely on in caring for their children. Born and raised in New Jersey, Dr. Cooke has been practicing Raleigh pediatric dentistry for 20 years, and during that time, he’s helped young people in North Carolina get the sterling smile they need to stay healthy and find success. After our friendly representatives greet our clients, we first take them to complete an X-ray, so we can properly diagnose their needs. 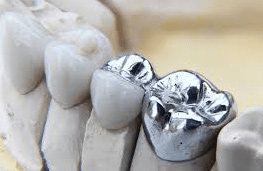 Still, some parents and children may be nervous about dental X-rays, despite the fact that they can do more than provide a clear, computerized picture of a patient’s jaw bone and teeth. The dental X-rays we provide are safe for patients of all ages, giving off only a small amount of radiation compared to the amount we are exposed to daily and yearly from natural sources. We also provide a lead shield that further reduces any risk patients may face. With our safe equipment, even mothers-to-be who are expecting can get a fast x-ray during a dental emergency from Dr. Cooke. Dental sealants are often of interest to parents, as they protect the molars and premolars of children between the ages of 4 and 17 years old. 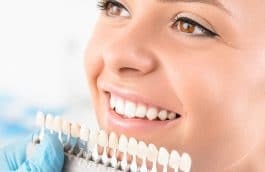 A safe procedure that can reduce the chance of costly cavities, Dr. Cooke regularly adheres dental sealants, taking only a few minutes per tooth. And since the service doesn’t require numbing, children who are nervous about emergency dental services can breathe a sigh of relief. 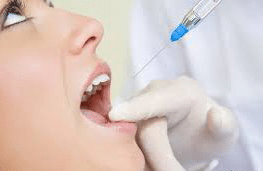 Sealants also represent a small cost to parents. Most insurance providers will pay for all or most of the cost of a sealant, and value is also added given the long-term benefits sealants provide. When you visit Thomas E. Cooke D.D.S. P.A., our friendly staff will greet you and explain how we can best assist you. This is part of our customer-first approach, which has won fans from customers looking for the best dentist in Raleigh. We keep the paperwork to a minimum, and offer to see guests right away. Whether you need dental crowns, dental implants or more advanced dental treatments, North Carolina residents rely on Thomas E. Cooke D.D.S. P.A., where quality dental work is our highest priority. This high level of care is exemplified by our motto “We Cater to Cowards.” We know that to many children (and adults), visiting the family dentist can be frightening. That’s why gentle dentistry is our specialty. Contact Thomas E. Cooke D.D.S. P.A. today, so you can ensure your child’s dental health today.